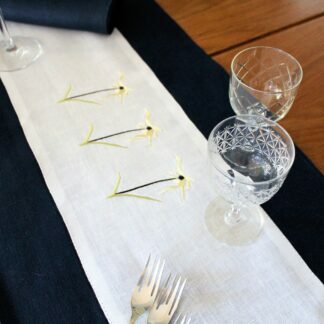 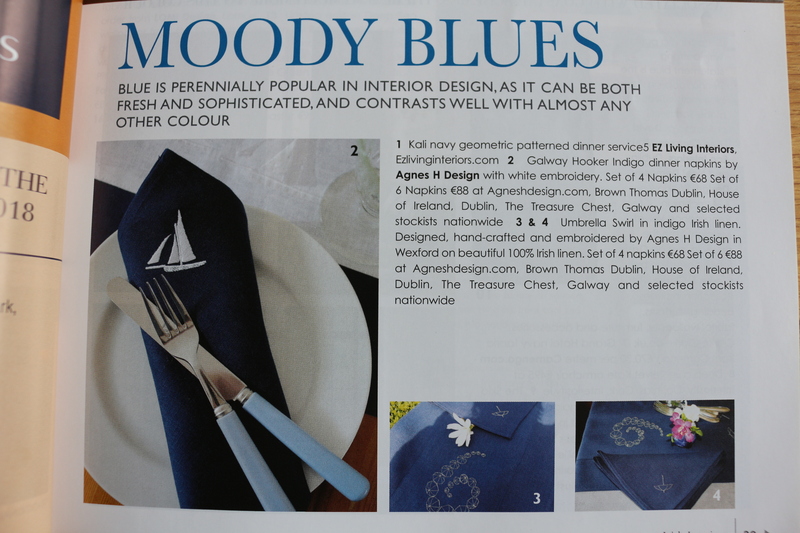 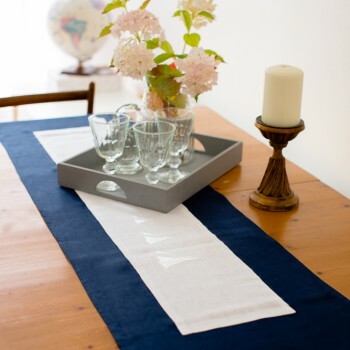 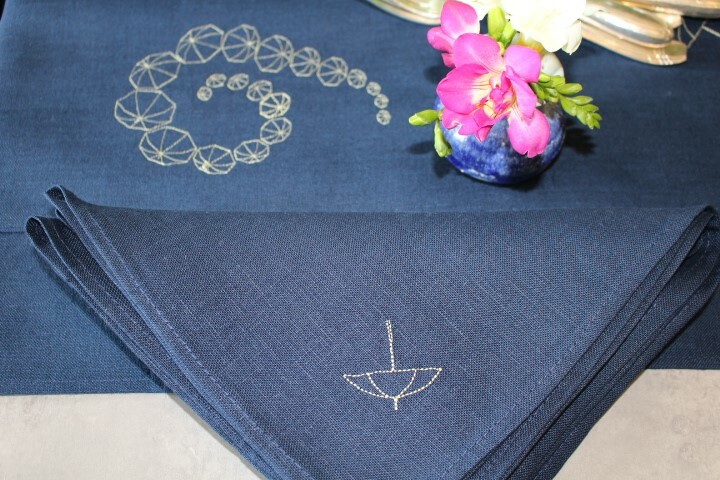 These indigo Irish linen dinner napkins work perfectly with our umbrella Swirl table runner. 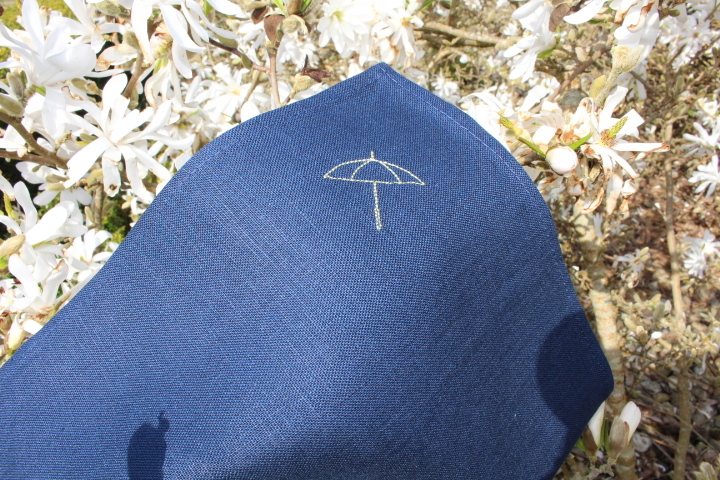 We embrace our Irish weather. It is what it is. 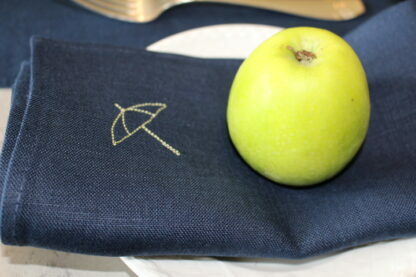 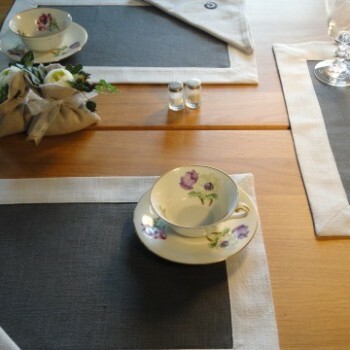 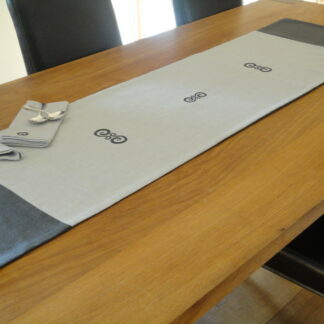 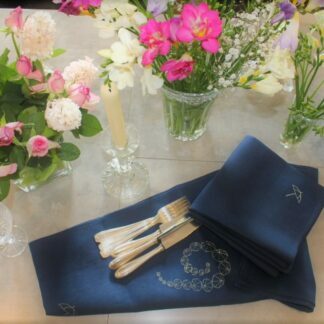 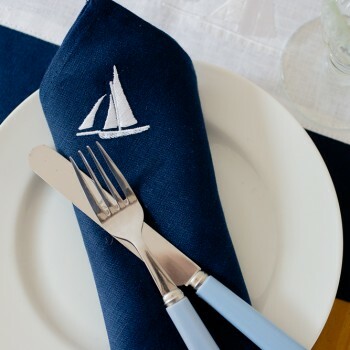 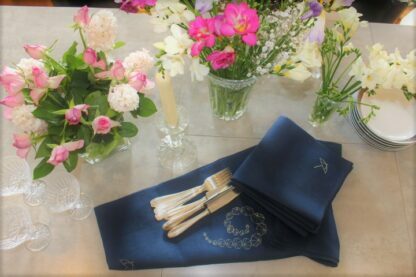 The dinner napkins have one umbrella on one corner and are 46cm x 46cm or 18″ x 18″. 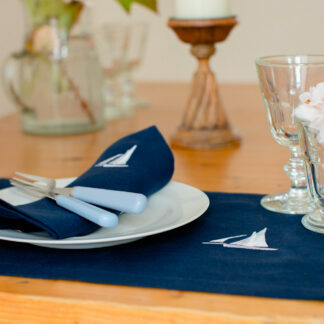 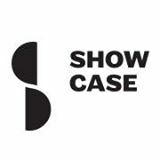 Cocktail napkins are also available in 12″ x 12″ or 30cm x 30cm and are also embroidered with an umbrella. 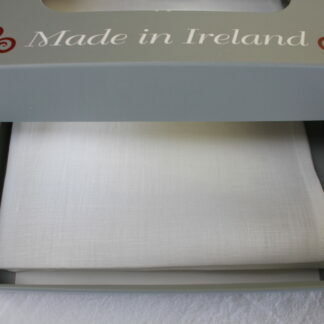 Made and embroidered in Wexford, in Ireland’s Ancient East. 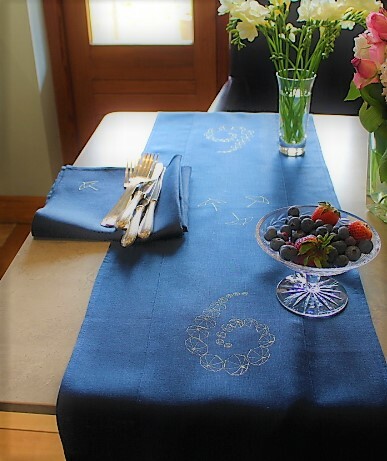 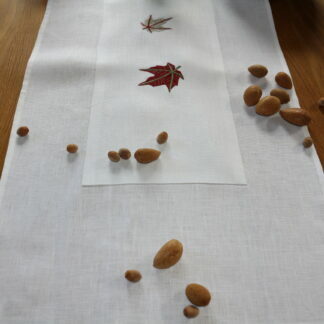 Maple leaf in burgundy on white Irish linen New River daisies in lemon on navy/indigo Irish linen table runner.